The first mistake that Westerners make is to assume that Islam's vocabulary is very similar to a Christian's vocabulary. For a Christian a church is simply a place to gather for spiritual worship. Islam teaches that it is wrong to separate the secular from the sacred. So, a mosque may be used for any Islamic purpose, including prayer, as well as a school (madrasah) and sermons on politics, economics, jihad, government, banking, etc. Islam is more than a religion. It is a "complete way of life" to bring everything under Shari'a law. 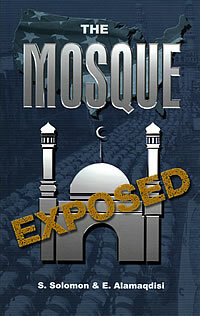 The authors show that mosques are central to the objective of changing a host society into an Islamic one.